Thank-you for your interest in Bio-Agtive Emissions Technology. N/C Quest hopes that this information is enough to help those wanting to embark further into what Bio-Agtive is all about and educate themselves on the value Bio-Agtive brings to the world. We do find it difficult to cover everything what has been researched to be capable of explaining everything in simpler words and arranging it all so its understandable, relatable and applicable. There is always a concerned individual who wants numbers. The problem with handing over all these papers to those who are concerned about Bio-Agtive’s scientific data is they are so scattered from so many fields of study that there is no way any specialized individual could make sense of it without understanding what it is we are trying to achieve here (the theory). Bio-Agtive has spent the last sixteen years pulling together these studies in our experiments to define a practice. Practices are not made by one or three peer reviewed papers, a small plot trail or many laboratory studies. Practices are a collection of thousands of papers, experiments and experiences that can give you confidence in the direction you want to go. Bio-Agtive is too broad for a lab to even start scratching the surface. A peer reviewed paper is too narrow scoped to convince you to adopt this technology. Being involved in Bio-Agtive as a collaborator is all about sharing information that we have discovered, learned and experienced to make this practice more practical. Should I share our proprietary information to individuals who do not have a innovative spirit to learn, to discover and share information among your peers? To those who do not have a commitment to collaborating and are desperately wanting to change and be off of this destructive NPKS treadmill? If you are not, this technology may not be for you. NPKS does not compare to Bio-Agtive and never can be compared. We are talking two different languages and two different practices. If you don’t want to stop using NPKS or you’re financially able to keep using energy inputs, that is fine! If you do want to change try and learn something new we are here to help you give Bio-Agtive a go! We are more than happy to help you understand the detailed information but we don’t give away information without it being organized because it can go unappreciated. The problem with Innovation is its hard to measure and manage, therefore making it messy if all members of an organization are not properly informed and equipped with the right knowledge so the change can happen with full confidence. 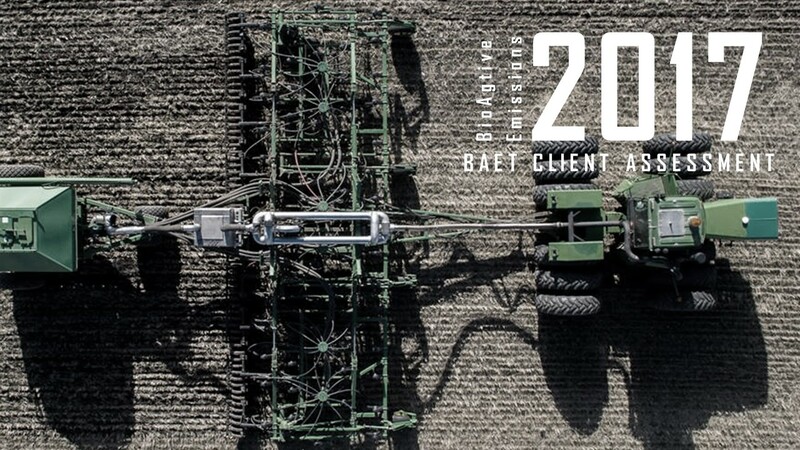 Essentially, if farm operations involving the Bio-Agtive™ Technology is to continue to perform at an optimum level with this change then it will require equally sophisticated knowledge and system designs. The problems we get paired up with because of this sophistication, out of necessity, influence the maintenance, troubleshooting, user ability, management, growth, observations and proper information growth of the technology. Outsiders peering in on adopters get lost even further with their understanding of how this works to the point where the adoption of the technology would never be considered used in their operations. The problems solution to end this curriculum is to increase the knowledge known among adopters and future adopters of the Bio-Agtive™ Technology so we can remove the doubtful and questionable queries. Bio-Agtive™ is here to help revert back to the facts and basics so you understand how to get started off on the right foot. Tackling any goal that is currently considered impossible by the masses, is not an easy course to take. Everyday these innovators who are pushing limits to pioneer, discover and survive MUST accept the risk of failing or looking like a failure. Innovators MUST demonstrate courage, resilience and discipline to experiment frequently no matter the inconveniences it may cause. Innovators MUST look at their work from every angle possible and accept wide spread results instead of trying to narrow results down with tunnel vision. Innovators MUST take natural laws of science, human behaviour or whatever is required and apply them in different ways from the normal. Innovators MUST be persistent to have a learning spirit from their experiences of failures and achievements. Most of all, Innovators MUST NOT let a lack of innovative will and discipline let their goals be terminated and disregarded. All of this is hard work and to be 100% fully committed to a change to something different on your own is even harder. If no one has the innovators will for launching the change, you will continue to do things the way you always did and remain focused on the same practice. Efficiency appeals to people because you can measure and manage it making the tasks easier day in and day out. However efficiency on its own may not be competitive or profitable enough to survive. At the current moment we have processes designed to keep products and marketing readily easily to do and are governed by a set way of practiced methods. The more you stay in these rules of practice the easier it is for the business to become efficient, the easy way out. In the short term a business cannot strive on constant changes, it thrives on staying in the set governed practices but only up until a mistake is made and then the economics settle in. If only stability and certainty could be married, it would be happily every after. We have less and less room for errors while competition is becoming more intense with less margins gains that with a small failure, no amount of efficiency can last long enough. The results is what is efficient today will be obsolete tomorrow because the economics never lined up. What we then face is a paradox. You can make short term money right now if you are efficient and stick to the rules and disregard innovation for later. Or else you can change to survive for long term if the ability to adopt to changes is learned now so you can bring on innovation to be more competitive and profitable tomorrow. These are the reasons why new ideas don’t happen overnight and the answer to question ”if this technology is so great, why isn’t everyone doing it?”. Boundaries are never pushed by the masses because it takes a lot of time, passion, devotion and discipline. Just over a hundred years ago, a man proposed the mathematical equation to the world about light traveling at any speed has mass. Wherever there is mass there is energy and wherever there is energy there is mass. Light is just photons that have no recordable mass unless if the photon is in motion, then it gains mass. When the photon is in motion it can carry a small amount of energy with it that can have a huge effect on the production of energy here on this earth. During photosynthesis the photon’s mass (energy) hits the chloroplasts sending the cell into a production line which transfers the photons mass to the sugars. This bond is what keeps all our organic material from flying apart and when oxidized we see this mass of energy released in the form of light, heat or vibration (noise). The power of light is so unreal that sometimes we take it for granted that it’s sole responsibility is creating a universe for you and I to live in. This equation is so powerful that it will continue to defy our daily perceptions that we have on things that shouldn’t happen but do anyways. It’s an equation Bio-Agtive wants every producer to live by and realize, we are actually and should be harvesting sunlight in everything we do as our job. Not buying sunlight energy in the form of fertilizers. Bio-Agtive key interest in helping farmers to take this oath of harvesting sunlight is by determining how and where the energy source of your light gets to your farm and how to increase capturing this precious mass. What is the meaning of the equation and what does it mean to me as a producer? The equation of capturing and storing sunlight is a very economical equation that farmers need to start living by. We are only as economical as the amount of sunlight we can capture on and in our soils. If you are interested to learn if your agribusiness is ready to take on capturing sunlight, instead of bringing it on in the form of synthetic fertilizsers, give us a call! We will come to your business and together we will conduct an assessment to ensure you're ready to start! Contact us today at sales@bioagtive.com or check out our "Contact Us" page for further details!